Tutoring a set of quintuplets turns out to be five-times the trouble for one reluctant young man, but it's also the start of his own romantic comedy! Futaro Uesugi is poor, so he can’t say no when a private tutoring gig from that pays five times the normal rate comes along from the father of his classmate. However, Futaro ends up with five times more trouble than what he bargained for when it turns out that his clients are beautiful quintuplets who are anything but quintessential academically! The romantic comedies that truly end up grabbing my attention are the ones which successfully balance entertaining comedy, a well-defined and engaging story premise, and a cast of memorable characters which suit both of those ends. 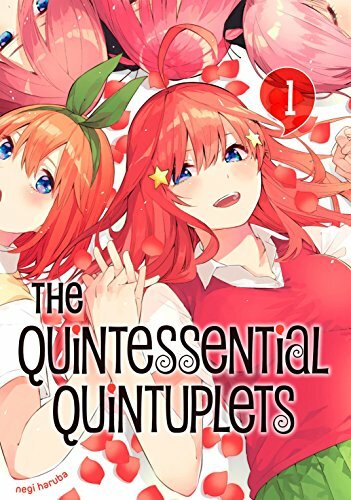 With this in mind, I’m quite happy to say that The Quintessential Quintuplets’ first two volumes are a strong debut for this series and are definitely worth recommending to fans of the genre thanks to some excellent comedy that has a bit of a bite as well as some interesting characters. The premise simple yet engaging premise that keeps the story focused on Futaro’s struggle to get these sisters to improve academically, and I was impressed with the way that this series imparts a strong sense of direction in keeping all of Futaro’s interactions with each of the sisters in service of this goal. Additionally, the comedy works well around this premise by appropriately providing some quintuplet humour as well as both situational comedy and comedy playing off both Futaro’s personality as well as those of each of the sisters. One of the most memorable aspects of The Quintessential Quintuplets is the effect that Futaro’s snarky and somewhat cynical personality has in adding character to the proceedings. In some passing respects, Futaro brings to mind Hachiman Hikigaya from the popular My Youth Romantic Comedy is Wrong as I Expected series in that his somewhat awkward and pragmatic outlook leads to strong comedic moments, and I suspect that readers who enjoy those types of protagonists will enjoy Futaro quite a bit. However, I liked that Futaro never crosses the line in becoming overly jaded or cynical to the extent that he becomes hard to cheer for, and it’s easy to see in the way that he treats the siblings that he has a heart underlying his awkwardness. This is emphasized clearly in a chapter where he goes to great lengths to try to successfully appeal to interests of one of the sisters in order to get her to study, and it was enjoyable to see these efforts pay off. While Futaro is a standout character in these early goings, each of the quintuplets is duly characterized and given a defined personality in a way that made me interested in each of them individually. This is done via the first couple chapters which introduce us to the girls before featuring one of them more closely, and I enjoyed the way that this format both progressed the story before beginning to flesh out the sisters to a deeper extent. Although the sisters at first-blush veer into the usual tropes of these kinds of stories plumb for their characters (one might be forgiven for initially broadly categorizing them as the prickly, cheerful, teasing, distant, and hostile ones respectively), the progression of these volumes suggests that the intent here is to make these girls more than one-note characters. At this stage, they each feel familiar in a sense but are fleshed-out enough to make me want to see how each of them develop as they continue their studies, and I appreciate that this series gives the impression even early on that it has aspirations of developing its characters in a way that other series in this genre sometimes do not bother to do. The art in these first two volumes was also quite good. Each of the characters is drawn with a solid level of expressiveness and detail, and I thought that the facial expressions, in particular, were great at emphasizing what a particular character was feeling at a given moment. Another aspect of the art that was noteworthy to me was the way that light and dark contrast was used for comedic effect at times to emphasize Futaro's somewhat dark takes on situations. 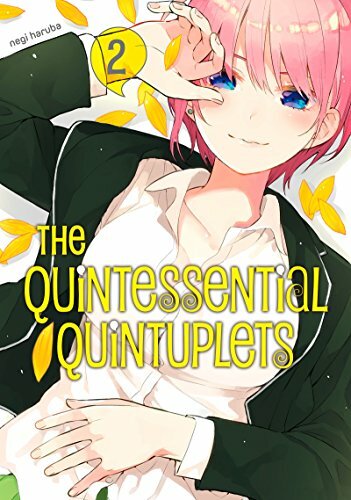 The Quintessential Quintuplets is an entertaining romantic-comedy with a snarky edge to it that makes for a read which makes it easy to recommend for fans of romantic-comedies such as Nisekoi. These volumes do an excellent job in adding in a strong sense of direction to where this series is going in terms of Futaro’s dealings with the siblings, and I enjoyed that all of the six main characters each develop memorable personalities even in the early going that made me enjoy their shenanigans so far as well as pique my interest in seeing what happens next. 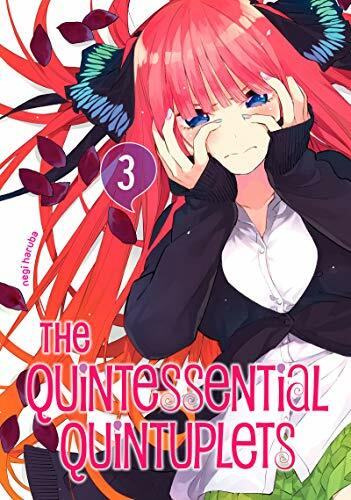 The Quintessential Quintuplets Vol. 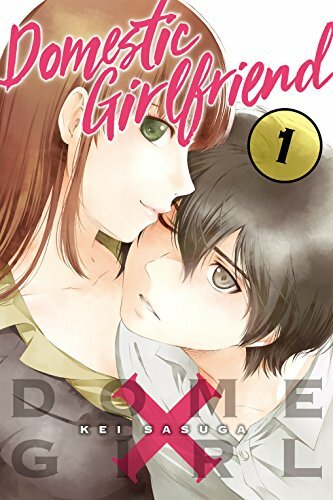 1 & 2 were translated by Steven LeCroy and published digitally by Kodansha Comics on June 26th and July 24th, 2018. Created by Negi Haruba, the series runs in Kodansha’s Weekly Shonen Magazine and will be receiving a print release in 2019.